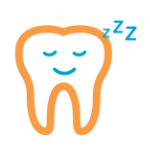 At Comfy Dental will do our best to save your teeth by restoring them. However, sometimes a tooth with very deep caries or periapical infection, badly broken, fractured or impacted cannot be saved and will require an extraction. 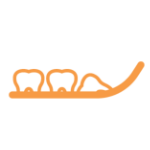 Teeth extraction maybe simple or surgical depending on many factors like the shape of roots and position in relation to surrounding anatomy, adjacent teeth (erupted and unerupted), badly broken tooth and so on. At Comfy Dental our experienced dentists will have a look into your medical history, your radiographs that they will take using the latest technology in digital radiography, and they will offer varieties of options in regards to types of extractions, types of analgesics and time required to finalise the procedure. 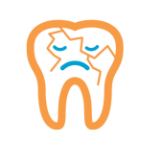 Wisdom teeth are the third molar at the very back in each quadrant of your mouth, they usually erupt between the age of 17 and 24. Some people will have all 4 wisdom teeth with no troubles whilst others could develop one or two or sometimes none. Wisdom teeth can be tricky and cause some damage when there is not enough space for them to grow or fully erupt so they become impacted. At Comfy Dental our team of professionals are fully qualified trained and experienced to deal with the hardest cases of wisdom teeth impaction. Our dentists are always pleased to offer multiple options to help you feel relaxed and comfy, so patient will have the choice to do multiple wisdoms extraction in one appointment or to extract them one by one in multiple appointments Furthermore our patients with the help of the dentist can select the type of analgesic as we are offering local, IV sedation and general anaesthetic. 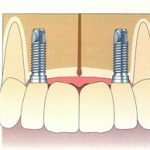 Dental implants are a surgical procedure which involves surgically inserting a titanium screw in the jaw bone which will act like a root of the tooth then attach a crown or denture to it. The crown or denture part of the implant can be easily changed in case of any damage. Depending on the patient needs we can do different types of dental implants. Single tooth implant consists of the insertion of a titanium screw in the jaw bone then attaching a crown to fill the gap. It does not implact or affect the neighbouring teeth and is useful when only one teeth needs replacement. 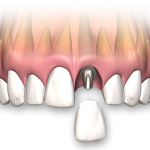 Bridge implants is a common treatment to replace multiple missing teeth in a row. This procedure will be a great permanent option to fill that huge gap and will save your adjacent sound teeth from harm of grinding them down to be used as support. 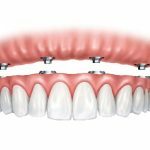 Denture on implants or all on four dental implants is when your removable denture is secured with implant replacing the function of your tooth root. Denture on implant is a great option that prevent jaw bone loss, denture dislodgement and speech troubles.